This feature originally appears in Complex's August/September issue. 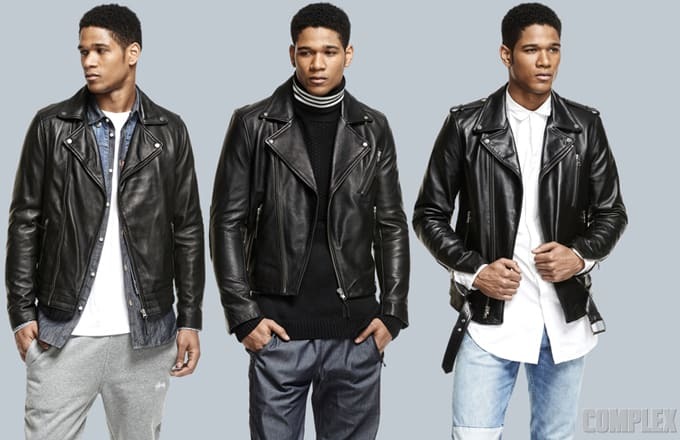 Moto jackets are the perfect layer to any autumnal kit. Sure, you can always throw one over a T-shirt, but pairing your most badass jacket with a wrinkle-free button-down or substantial sweater proves it really is the most ride-or-die item in your wardrobe. Photography by Jaime Kahn. Associate Market Editor: Corey Stokes.